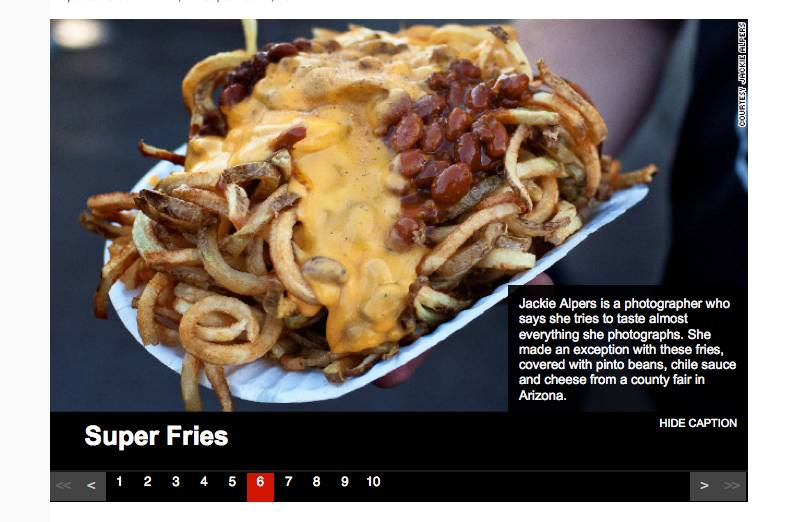 I had the great pleasure of discussing my Fair Food photo project with CNN Heath for a feature by Georgiann Caruso. Click on the photo to read the full article. Previous post: Good Morning America Feature: Decadant Foods From Across the USA!